Joel is a 28 year old slacker who lives with his father and only cares about drinking beer and playing his guitar. On this particular day, his routine is drastically interrupted, as his sister asks him to take care of her young son. Joel accepts the imposed task, but things get complicated when his nephew disappears from his house without leaving any trace. Joel then starts a search in the neighborhood where he was raised. He runs into the people that have shaped up his life: old friends, enemies, ex-girlfriends, cops and criminals. This task, finding his nephew, makes him realize that he is very much still the same person that he was 10 years ago. Today, responsibility means finding his young nephew before his family finds out that he is lost. Studied a Marketing and Advertisement degree at the ULACIT (Universidad Latinoamericana de Ciencia y Tecnología) and film at the EICTV in San Antonio de los Baños, Cuba. He started experimenting with video when he was 14 years old in Panama City. He then worked in T.V. and advertisement productions, and produced and directed his first own short films. His last short film, “Hombre atado a una silla”(“Man tied to a chair”) won the award for “Best Central American short film”, as well as the “Best Script” award in the ICARO Central American Media Festival. 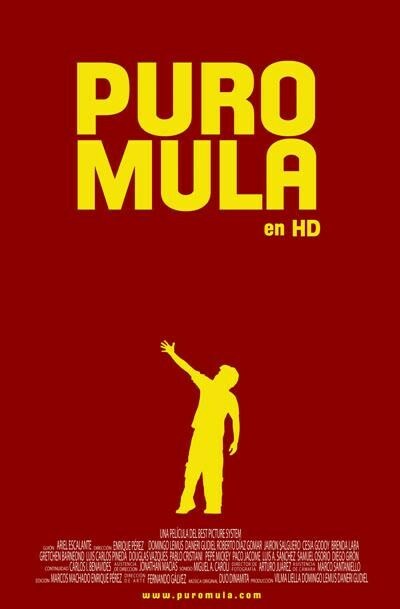 In 2009, he directed his first film, PURO MULA (The Dumbass), which premiered in cinema theatres in 2011. He is currently working on his second film.